In honor of Halloween, I thought it the perfect time to sing the many praises of one of my absolute favorite indie horror games: the uncle who works for nintendo. 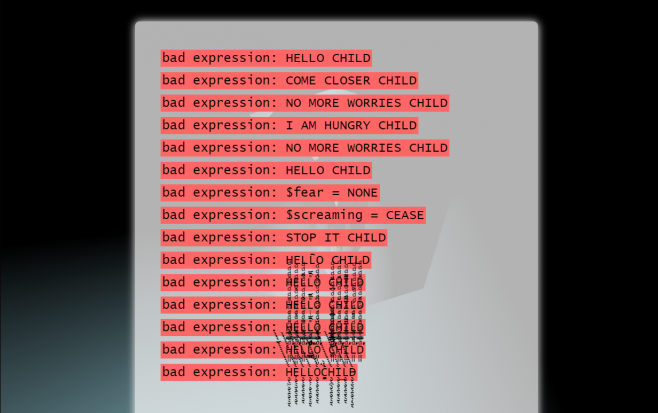 I tried, sincerely tried, to find a fresher attempt on the horror genre, but Itch.io is so rife with first-person jump scare fodder because of the holiday that, even after trying my hand at half a dozen or so, I still found myself thinking back to that eerie visual novel I played years before. This visual novel puts you squarely back in those minuscule shoes of old; it’s the ‘90s, you’re 11 years old and sleeping over at your best friend’s house where you both are sure to while away the night scarfing down popcorn and pizza staring down the glow of a television screen. Your friend has all the latest consoles and games, even some you haven’t seen before, all from a mysterious uncle who’s coming over at midnight. From this sparse scenario sprouts five different endings, each one growing increasingly meta and self-aware of your choices. If you hadn’t guessed it already, the uncle is not who (or what) he seems, taping into gut-deep corners of fear you hadn’t thought about since you could barely hold a game controller, sprouting off the sting of being enveloped by that childish jealousy some of us never truly outgrow. Through text, the uncle who works for nintendo builds tension better than most 3-D first-person games I’ve played. It begs you to question everything, and only believe what you’re reading at your own risk. Choosing to examine something for a second time may prompt an entirely new description so that the only thing you can truly trust is your memory. It’s sound ranges from the nostalgic electronica of classic video games to incredibly horrific effects that prove even more unnerving against the game’s unassuming visuals. If you were to only look at the background art, you’d simply see a suburban home, maybe a little dated in its decoration, but otherwise unassuming and forgettable. The game itself, however, is anything but. Though I originally played it when it released in 2014, I’ve yet to find another game – visual novel or otherwise – that thoroughly disturbed me as much as the uncle who works for nintendo.